This workshop will introduce you to the world of baking and decorating. You will learn how to bake delicious cupcakes, make buttercream frosting and decorate cupcakes using frosting and fondant. 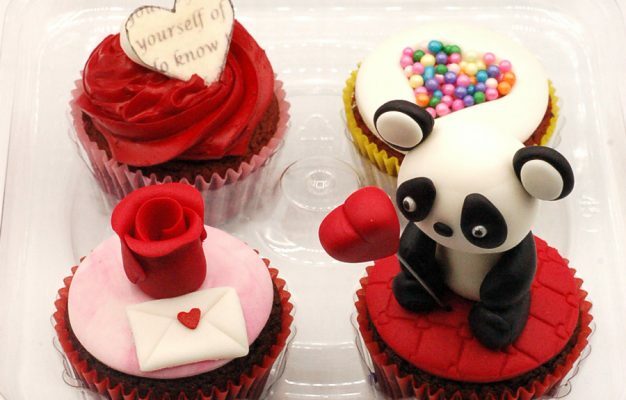 • How to decorate cupcakes using buttercream and fondant. 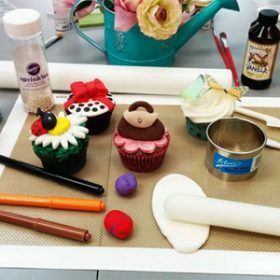 The workshop includes all the tools, materials and ingredients required to create and decorate 4 cupcakes. The workshop lasts approximately 2 hours. The minimum age requirement for 101 classes in 8 years old. Children aged 8 to 12 should be accompanied by a participating adult. My daughter and I really enjoyed the one-on-one time learning cupcake techniques. The cupcakes were delicious too! Loved the class! Have now begun to practice all the skills I learned for a friend’s baby shower in the Fall!!! Everyone was very nice and so talented! Bought this for a Valentine’s day gift for my partner. We had so much fun decorating the cupcakes and learning how to make the best cupcakes from scratch. We will definitely attend another class sometime. It was an amazing experience for my 8 year old niece and I. The staff was very informative and their assistance was greatly appreciated. Overall, I give Mia’s Cake House, a two thumbs up! Great owners, very knowledgeable & nice. Makes for a nice girls night out or to get tips for aspiring bakers.